The Tornador Black Cleaning Tool Z-020 helps you send a powerful blast of air and your favorite cleaning solution to clean interiors or exteriors. 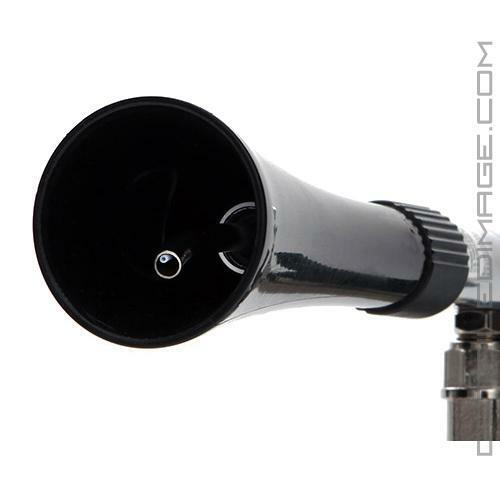 The Z-020 works directly with your air compressor, so if you do not have a hose or have limited water access, this cleaning tools is super handy. Dilute your cleaning solution to your desired ratio, pour it into the reservoir, and flip the unit on. 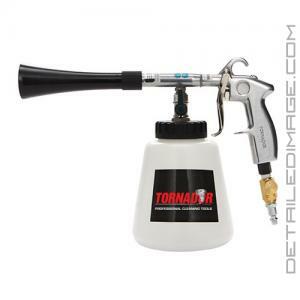 The cone shaped nozzle on all Tornador products create that patented tornado cleaning action, spraying the cleaning solution onto the soiled areas. This unit works great on all cleaning types, but really thrives on heavily contaminated areas. Just spray, dwell, and wipe away, it is that easy! After you clean, flip the switch and change to the air compressor setting to dry the area. The air regulator allows you to control the working pressure on the tool, meaning more or less pressure and cleaning fluid depending on what you would like! 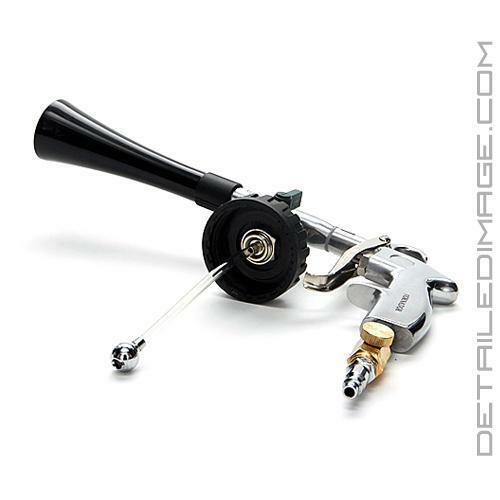 The Black Cleaning Tool can be used on all the same areas the Tornador Classic Cleaning Tool Z-010 thrives on, dashboard, door panels, steering wheel, fabric upholstery, carpet, floor mats, between seats, tight areas that are hard to reach, wheels, emblems, fabric tops, etc. The difference between the Z-020 Black and Z-010 is that the Black Z-020 will be much more effective on heavily soiled areas. Tornador designed this to pack more power, but feature less air consumption and noise. If you are looking for a tool to tackle all your cleaning jobs, the Tornador Black Cleaning Tool Z-020 should be your choice! Love the Tornador. Use it almost everywhere on the inside of a car. And I love the improvement of the Z-020 over the Z-010. It works fantastic with Meguiars APC. Great smell. Works great. I used it on the Mats, carpet, trim, and seats. I did follow-up with the Mytee Lite extractor for a deeper cleaning and it worked great. I used the Meguairs All Purpose Cleaner, i recommend you use this for a nice smell and cleaner. Works great. Mats, carpet, trim, etc. Use it with Megs all purpose cleaner, you won't be disappointed ! I go to to Detailed Image about four times a week, your work is some of best in the country!